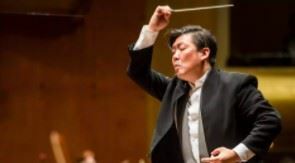 Experience Beethoven’s grand Choral Fantasy — reminiscent of his “Ode to Joy” — as never before with 13-year-old pianist Serena Wang and the Farmers’ Chorus of the Yunnan Province — farmers from the mountains of southern China whose ancestors were taught singing by missionaries, appearing outside China for the first time ever. We welcome the Year of the Dog in this special Lunar New Year Concert. Once purchased ticket cannot be exchanged or replaced. Ticket cancellation is not an option for this event. Please note there will be no refunds for ticket purchases.